Custody cases are all about the children, right? Then why does it seem that the parents are the only ones who get to tell the judge what is best for the children? 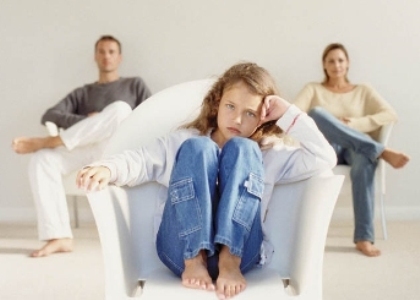 Can a child make the decision what custody arrangement is best? The answer is no and is explained in greater detail in an earlier blog on the topic. Mom and Dad each have lawyers talking for them, so shouldn’t the kids have an adult who can speak for them? Actually, that can happen in a couple different ways. Sometimes the Court will appoint either a Parenting Coordinator or a Guardian Ad Litem. The person in each of these roles should serve the best interest of the children and may testify in court about the children’s wishes and concerns. However, these two roles differ in some important ways. A Guardian Ad Litem (GAL) is literally a guardian “for the litigation.” A GAL may be appointed by the Court to represent the interests of a minor or incompetent person within the context of a specific lawsuit or proceeding. In custody cases, a GAL may be appointed to assert claims on behalf of a child, but more often the GAL is appointed to be the voice for the child in court. The benefit to the child is that she is not required to testify in her parents’ legal dispute. The GAL may sometimes testify about statements the child has made, treatment or counseling the child needs or concerns arising from a particular custody arrangement. It is not proper for the GAL to attempt to tell the Court what custody arrangement is in the child’s best interest. A GAL would normally be appointed before the Court has decided custody. A Parenting Coordinator (PC) may be appointed by the Court in high conflict custody cases where there is already a Custody Order in place. The goals of a Parenting Coordinator are (1) to serve the best interest of the children, and (2) to assist the parents in improving their co-parenting relationship. Unlike the GAL, a PC has certain decision-making authority. For instance, a PC can decide disputes between the parents regarding pick-up times and places, extra-curricular activities and disciplinary concerns. A PC may require that the children or the parents receive counseling or therapy. In other words, the PC has some judicial authority not available to the GAL. Finally, if the PC determines that the existing custody order is no longer in the child’s best interest, the governing statute requires that he report that opinion to the Court. Ultimately, the parties end up paying for the services of the GAL or the PC. With a GAL, the Court will generally tax her fees as a cost of court. Therefore, the judge might make one party pay more than 50% or even all of the GAL fees at the end of the case. A PC’s fees are governed by the Order appointing the PC. Most frequently, the parties share equally in the cost of the PC. Is a GAL or a PC the best choice for your custody case? The answer to that question depends on several factors. How far along is the litigation? Is there a custody order already in place? Do the parents need help in co-parenting? Do the parents need someone to make decisions when they cannot agree? I have served in both roles. I must confess that, in most cases, I think a Parenting Coordinator is the better choice. The emphasis on healthy co-parenting and trying to resolve disputes outside the courtroom seems to make the PC the better choice. I tend to think of the GAL as preparing for court. I see the PC as preparing a conflicted family for life. If we can assist you in your custody case, either as a Parenting Coordinator or a Guardian Ad Litem, please contact us at Irvine Law Firm.